Signbox Microsystems understands that no matter how good the product, after-sales service is going to be required at some point in time. Which is why Signbox customers receive both on-site and off-site digital signage support, 24 hours a day, seven days a week. A dedicated support team is available to answer questions and provide solutions by phone, e-mail, SMS messaging, Skype or via remote access. 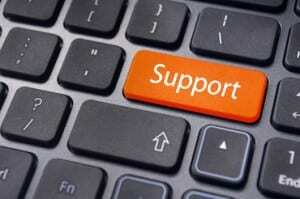 Click here for contact details for our support team.